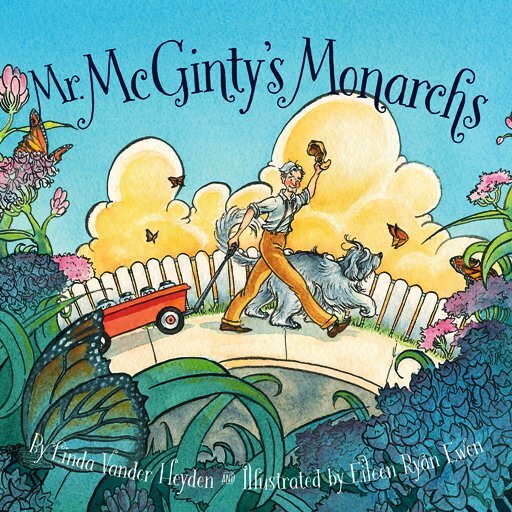 Everybody loves butterflies, especially Mr. McGinty, the plucky hero in Mr. McGinty’s Monarchs, by Linda Vander Heyden. In the book, amiable Mr. McGinty loves the outdoors and takes his dog Sophie for long walks past picket fences and neighborhood shops. As they stroll they observe the monarch butterflies and Mr. McGinty tells Sophie (and thus, the reader) how monarchs lay their eggs in milkweeds, and how the eggs hatch into caterpillars that eat the leaves. 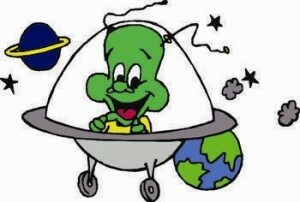 However, on one walk, Mr. McGinty discovers that the milkweed has been mowed down and the monarchs are in big trouble. Dreading watching the poor butterflies die and refusing to sit and do nothing, Mr. McGinty goes on a “monarch mission” to house the larvae until they mature and are ready to be on their own. Even when the townspeople shake their heads and think him strange, he ignores them and does what he can to preserve the larvae. Before long, the “worms” his neighbors are laughing at become caterpillars and then magnificent butterflies, and soon all Mr. McGinty’s neighbors are eager to be in on the butterfly goodness. Written for grades 1-4 and ages 6-9, Mr. McGinty’s Monarchs is as much fun as it is educational. 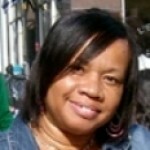 Ms. Heyden’s prose is both soft and lyrical. For example, her line “On lazy afternoons, Mr. McGinty watched monarchs dip and rise on the summer breeze” conjures sweet summer evenings when butterflies and lightning bugs were all the entertainment a young child could ever need. The story line reads like a novel instead of a picture book, and artist Eileen Ryan Ewen’s eye-popping illustrations are the icing on the butterfly-kingdom cake. 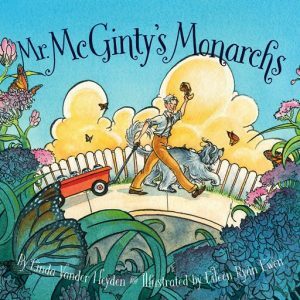 There are lovely close-ups of Mr. McGinty’s kind, aging face; moving scenes of Sophie sniffing the ground where the milkweed plants once stood; and detailed illustrations of Mr. McGinty working diligently with his butterflies as Sophie sleeps at his feet. This book should be great for science class, science labs, show-and-tell, citizenship, environmental studies, ecosystem studies, and…well, you name it and this book should cover it.